There are good reasons for our lack of Knowledge. At that time, artists passed their knowledge only to their own pupils. If they did not protect their secrets, imitations would have appeared on the market, robbing the leading workshops of their popularity, the unique Flemish tradition were lost as the techniques of Italian painting spread through northern Europe after the middle of the 16th century. The appeal of the Flemish style, however, cannot be explained simply through the technical skill of the artists. It is clear that deep religious feeling is also involved. 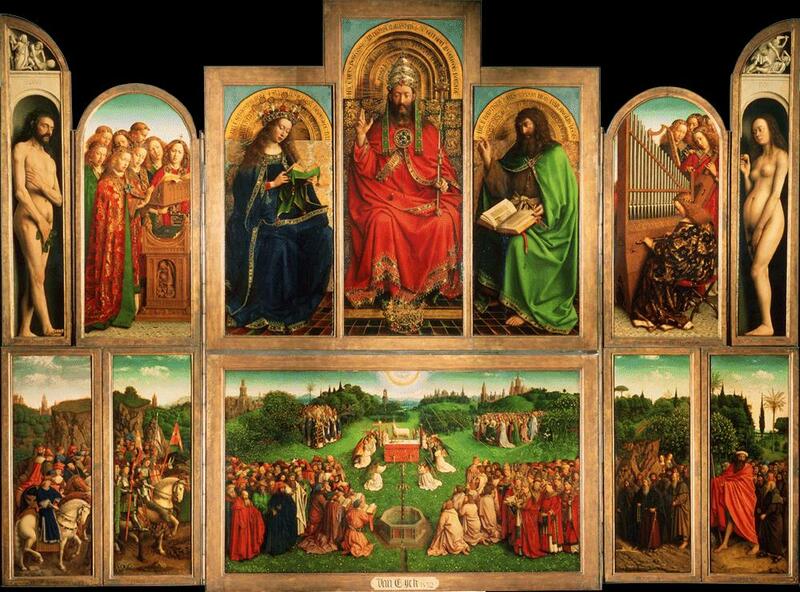 For example, the altarpiece of the Cathedral, of St. Bravo, Ghent, known as the adoration of the Lamb completed by the Van Eycks in 1432, has a complex religious programme. 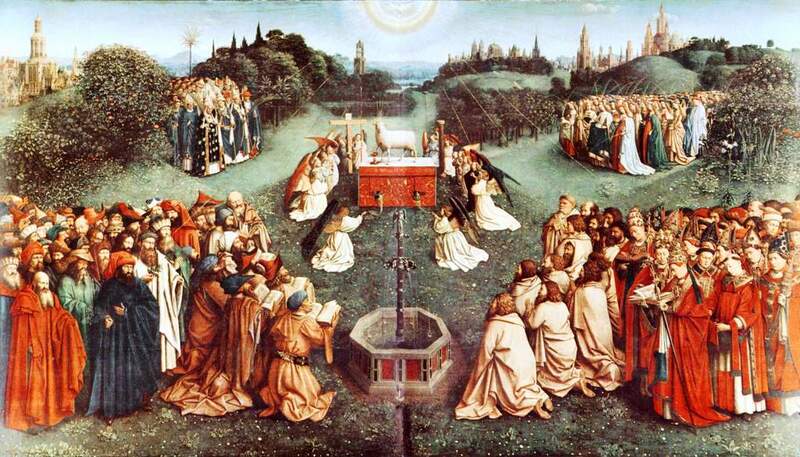 The central panel shows a sacrificial lamb- symbolizing Christ on an altar, with its blood flowing into a cup. Angels carrying the instruments of Christ’s suffering- the cross, the crown of thorns, the spear and the whip- have gathered around the Savior, while crowds of the faithful-prophets, martyrs, popes, virgins, pilgrims, knights, and hermits- flock from the four corners of the earth. The natural world, as presented in the Ghent altarpiece is a product of fantasy, and provides a perspective to the survey the whole earth: we can see cities, the ocean, mountains, trees and the sky, and are able to grasp the magnitude of creation. 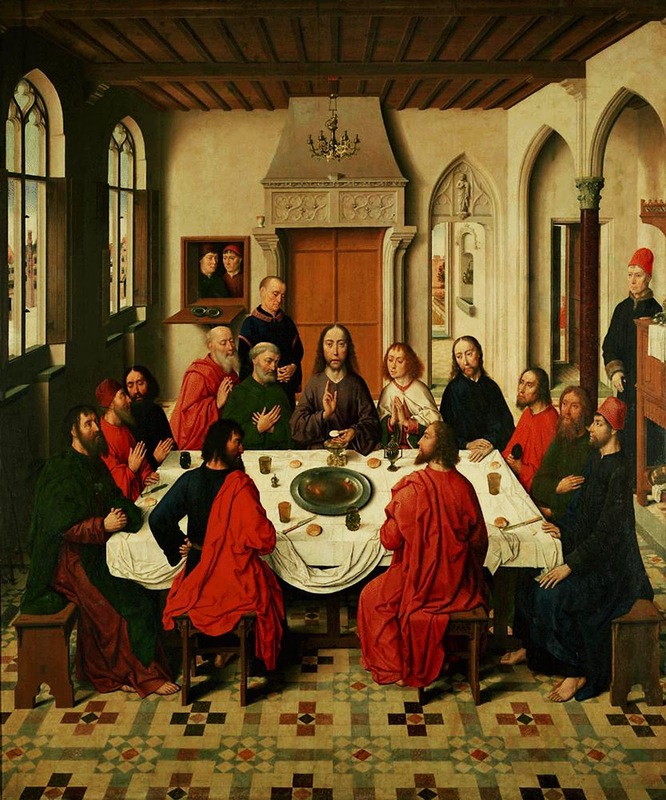 The message of the Flemish painters is that man can feel accepted by God and live in the awareness of his presence. The people in the paintings have understood this revelation, and radiate inner confidence and serenity. But the many paintings that depict Christ’s descent from the cross also testify to deep sadness. In a moving work Dirk Bouts shows the Virgin Mary, Mary Magdalene and St. John sinking to the ground in pain after the death of Jesus: a young man has died and those close to him are in agony. This tender scene evokes boundless sympathy, and yet it also leaves the viewer with the freedom to admire the beauty of the illustration. The true magic of Flemish painting lies in this arousal of both emotion and admiration. During the first half of the 15th century, Flanders was the setting for a revolution in the history of painting. It was at this time that Flemish painters attained the highest degree of perfection in the realistic representation of objects. Their work fundamentally changed the aesthetic values of the time. We have learnt much about the special techniques they developed, but certain things will probably never be known. In the 15th century, the Dukes of Burgundy were among the greatest patrons of art on Europe. The court of Burgundy employed artists from all parts of the lands ruled by the duchy, including Flanders, which had been a part of Burgundy since1385. there, in the windswept north, a major artistic change took place which left a permanent mark on painting. How did this pioneering style develop? 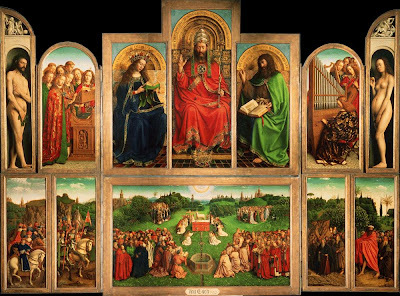 Jan van Eyck is rightly considered to be the father of Flemish painting; some critics even refer to the so called Eyck Miracle. But other artists, such as the Master of Flemalle Rogier van der Weyden, Dirk Bouts, Hugo van der Goes and Hans Memling, all made important contributions to the new Flemish school of paininting. These artists led the way from the stiff, formalized style of the Gothic era to the more naturalist style of the Renaissance.